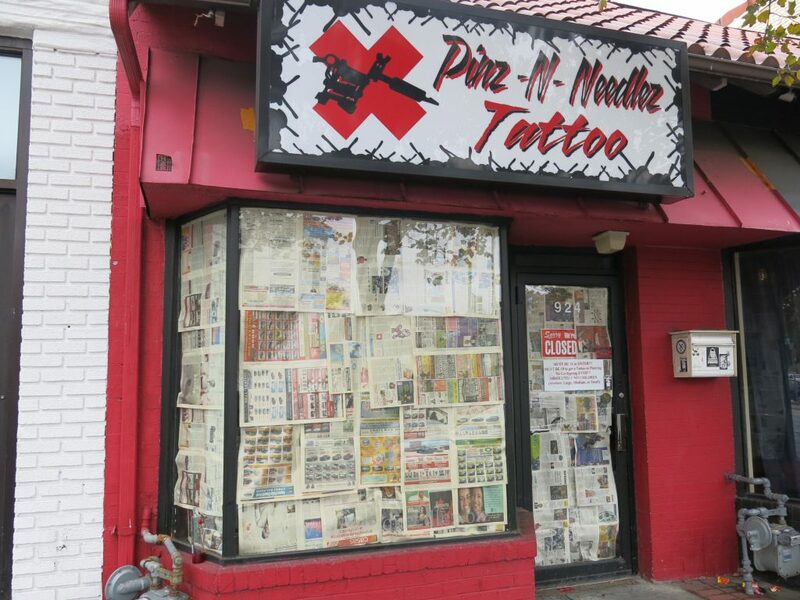 The DC health department has yet again published body art laws that are unnecessarily onerous and costly to small business, vast yet unclear, and unacceptable to the body art community as written. These laws are almost identical to the laws that were proposed in 2015 that were overwhelmingly rejected by the body art industry and public. If these regulations are allowed to stand as is this will negatively effect your access to and cost of receiving body art in DC. We are asking for your support and hope that you will email and/or write DC officials to oppose the DC Department of Health Body Art Establishments Final Rulemaking. The comment period ends Feb 5th so please send your comment by then. Just let them that you oppose the DC Department of Health Body Art Establishments Final Rulemaking as written. Thanks again for your support and please spread the word! To view the 66 pages of regulations go here. The site is difficult to navigate but in the “Agency” search box type “Department of Health” and type in “body art” in the next search box. They definitely don’t make it easy to find the regulations! In Maryland we have a basic, comprehensive 6 page set of standards in place that have been in effect since 1997. These standards have kept the public safe and have given the industry clear guidelines to follow for over 2 decades. These standards are all you need to keep body art clean. Please understand that according to DCHD there has NEVER been a reported case of disease transmission in DC from professional body art practices. These regulations are not a response to a disease outbreak or unsafe practices from the professional body art community. These harsh regulations are an overreaction to DC officials lack of action on providing the public with simple, comprehensive body art standards which we as an industry would support. Comprehensive body art standards protect the public and the body art industry. We hope that after you read this follow up you will have a clearer understanding why it is important for you to act and contact [email protected] and [email protected] and oppose the Body Art Final Rulemaking as written. We only have until Feb 5th so please act soon! This battle over regulations began back in 2012 when the DC council passed the Regulation of Body Artists Act that was passed into law. This “act” simply states that DCRA will create a licensing structure for body artists and that DCHD will create regulations and that they will enforce the licenses and regulations. It has some basic provisions but it leaves most of the rule making up to DCRA and DCHD. The original Body Art Act limits body art of minors to only ear piercing procedures (which is fine) BUT it mandates the use of “piercing guns” for minor piercing. Piercing guns are known to cause more damage, are harder to keep sterile and clean, are not sanctioned by the Association of Professional Piercers (the worlds leading authority on everything piercing), and are not used by any reputable piercing establishment. Essentially The Body Art Act (which all of the licensing and regulations are based on) creates a health hazard for minors! -The licensing process is unreasonably difficult to navigate and expensive and therefor difficult to comply with. There are body artists who were approved to take the licensing exam but the establishment that offers the exam ceased to make appointments for the exam due to their inability to handle the influx of body artists attempting to take the exam. The amount of time the body artist had to take the exam was limited by DCRA so now that his timeframe has expired, artist are being asked to re-apply and pay the fees again ($265)! Other artists that were able to navigate DC’s clumsy system and recently obtain their licenses. The catch is that the licenses expire in April of this year so these artists will have to pay again and renew their license after only being licensed for a few months. -The regulations target legitimate business operators but don’t focus on the true health safety threat which is the underground body artist working from home or at parties. All the burden and scrutiny is on professionals but the hazardous operators are free to do as they please. Underground operators simply don’t need to let the inspectors in. Because of this the regulations will encourage legitimate body artists to shut down and go underground. I know of one case where this has already happened. -The regulation gives DCHD intrusive and heavy-handed broad powers in which they can intrude on our businesses unannounced even if no complaint or concerns are present. This would cause a disruption to our business and clients who want privacy when they are receiving body art. Also there are excessive fines and jail time in the regs. -The laws are at times unclear, and open to interpretation. -The regulations create unwarranted and financially burdensome building requirements. They require 1 hand washing sink PER WORKSTATION as opposed to just needing a designated hand washing sink that all body artists have access to. Also for every 4 workstations you need an additional hand washing sink. They also require that studios (that have 5 body artists or more) build an additional bathroom (how does this benefit the public?). Creating a new bathroom, closing your business to build the new bathroom, waiting for inspectors to show up and unnecessarily taking up valuable real estate would put a huge financial burden on small business. The regulations also states that if the power or water goes out in your neighborhood that you must close your business until the DCHD can send out an inspector to reopen your business which has nothing to do with keeping a body art establishment clean and safe. These are just a few examples of the unwarranted and financially burdensome requirements that are in the regulations. -There is no grandfather clause for licensed businesses (we are already required to have general business licenses) who have had a valid Certificate of occupancy and who have a history of operating safely (some of us for 2 decades). We are expected to spend in some cases tens of thousands to retrofit our businesses, not to mention the loss of revenue from having to temporarily close our business for construction. -The regulations create unwarranted and financially burdensome staffing requirements. Under these regulations we will now need to have a licensed body artist present AT ALL TIMES during operating hours (even while body art is not being done and for body art businesses that have a retail operation) which again makes no sense, doesn’t protect public safety, and simply adds more undue burden and stress to business owners and gives DCHD more ability to fine and penalize our businesses. -There is a huge double standard when it come to walk in street shops vs. “appointment only” or private studios which creates an unfair competitive advantage. Because the inspectors cannot just walk in to the latter establishments, they would need to make appointments to inspect them (or just leave them alone in the case of DCRA) even though some of them are not in compliance and/or don’t even have valid Certificates of Occupancy. All inspections should be scheduled with the shop owner to level the playing field and to respect the privacy of customers. -Considering there are only 12 listed body art establishments in DC on Google, and that according to DCHD there has NEVER been a documented case of disease transmission from body art being done out of a legitimate establishment in DC, these regulations are unwarranted for such a small industry that has a perfect record of maintaining health standards. These regulations are not in response to a health issue or disease outbreak, they are the manifestation of the ignorance and/or discrimination of DC lawmakers towards body art and the body art community. -Overall we in the body art industry feel that we have been targeted and discriminated against from the beginning by DC officials. In past proposals, DC regulators have proposed a “24 hour waiting period” for all body art procedures which would eliminate all walk-in services (the cornerstone income of all body art establishments). They’re reasoning for this was adults need to think about this decision for at least 24 hours because if they want body art, clearly they are either intoxicated or not thinking straight and if they just have a day to think about it they will make a good decision. That provision alone makes it clear what they think about body art and the people who receive body art. All versions of the regulations have been riddled with requirements that cannot be complied with. Example: draft #2 stated that we could only purchase body art supplies from suppliers in DC (which there are none) approved by the Mayor’s office. The ongoing pattern shows that at best, DC lawmakers are completely ignorant of body art, our practices, our businesses and our clients needs and expectations. At worst, they are actively trying to sabotage an industry that they are inherently hostile towards. We hope that this follow up has provided you with the information you need to help support our cause and reach out to DC officials to oppose these regulations. Quotia Zelda I'm so sorry.